The most exciting collection of international new writing in the U.K. continues, with a special Millennium issue. A free 40 track CD, featuring live readings by various poets is included. 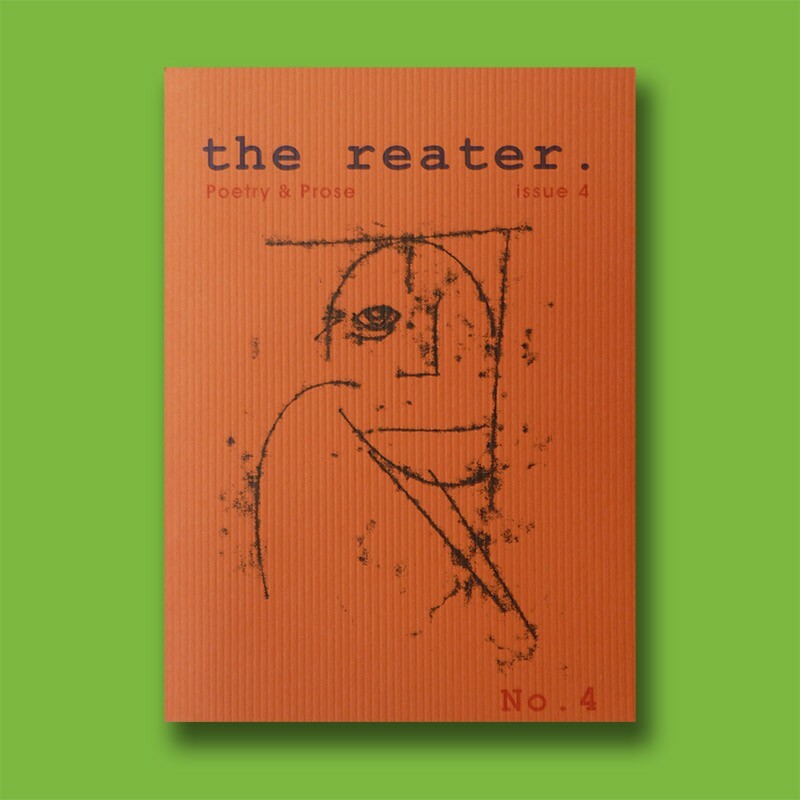 The reater brings together known and unknown talents in a high-quality format, with striking illustrations. From the East Coast of Britain to the West Coast of the States, from Simon Armitage to Fred Voss, featuring poetry, prose, artwork and interviews, and reviews, this challenging book-sized magazine takes the game into the next century. Gerald Locklin, Martin Mooney, Julian Turner, Steve Dearden, K.M. Dersley, Peter Lewin, Linda Rocheleau, Lawrence Bradby, Geoff Hattersley, Anna Robinson, Ken Steedman, Daithidh MacEochaidh, Stephen Wade, Carol Coiffait, Ben Myers, Joan Jobe Smith, Roddy Lumsden, Fred Voss, Peter Didsbury, S. Waling, J. Morris, Edward Michael O’Durr Supranowicz, Alan Catlin, Jonathan Brookes, S. Harvey, Jon Summers, Keith Valentine, Geoff Stevens, T.F. Griffin, Brad Evans, Graham Hamilton, Jonathan Asser, Edward Field, Brendan Cleary, Joseph Allen, Fiona Curran, Don Winter, Michael Gregg Michaud, Peter Knaggs, Dean Wilson, Giovanni Malito, Susan Maurer. Paintings by Jayne Jones. Brendan Cleary (7), Ian Parks (3), Devreaux baker (5), Dean Wilson (3), Daithidh Maceochaidh (1), Graham Hamilton (1), Lisa Glatt (4), Peter Knaggs (2), Joan Jobe Smith (2), Seamus Curran (4), Fred Voss (3), Carol Coiffait (2), Labi Siffre (2), Gerald Locklin (1).